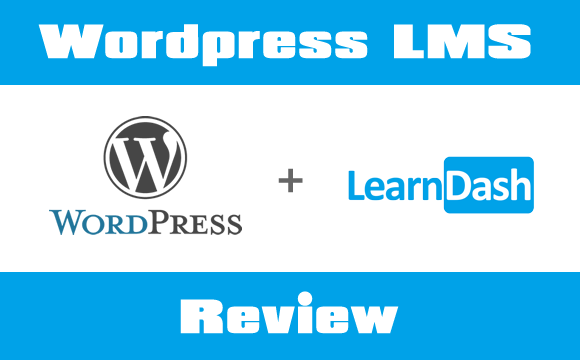 A few weeks ago, LearnDash released the WordPress LMS plug-in. Being a fan of both WordPress and E-learning, I was eager to try this new offering. I’ve spent the last week or so taking the plug-in for a test drive to see if it is a viable solution for a learning portal. Read on to find out if WordPress LMS is a good option for you. For those of you who aren’t familiar with WordPress, it is one of the most widely used content management systems around today. It is used by literally thousands of websites and blogs, in fact, this blog is running on WordPress. One of the reasons WordPress is so popular, is that it is an open source platform. This means that it is absolutely free to use, and free is always good, especially if your department has a limited budget. In addition, WordPress allows anyone to quickly create a website/blog without the need to write code. There are also many different plug-ins and templates available that allow you to truly customize how your WordPress site looks and functions. With the release of the new WordPress LMS plug-in, you can now add functionality that will allow you to transform any site created with WordPress into a learning portal. Self-Hosted: For a one time $69 fee, you can download the plug-in and host it anywhere that you want to set up your website. This means that you can host it on a server on your company network, at a hosting service like godaddy.com or 1and1.com, or any other place that you might want to host your website. In addition, you can use the plug-in as many times as you want. For example, if you have 5 different WordPress websites, you can use the plug-in on each one. The $69 dollar fee also gives you access to several tutorials/videos that help you get familiar with how to setup and use the plug-in, as well as technical support vie email. Finally, you will also have access to the LearnDash library, but more on that later. LearnDash Hosted: The hosted option will cost you $99 a month and your site will be hosted on a LearnDash server with unlimited bandwidth and storage. Unlike the unlimited usage included with the self-hosted option, you will be limited to using the plug-in on one website if you select the LearnDash hosted option. The monthly fee will get you access to support/consulting via email and phone, and you will also have access to the video tutorials and the LearnDash library. Installing the plug-in is a very simple process. After creating my new instance of WordPress for my demo/testing site (you won’t need to do this if you already have an existing WordPress site of course), it literally took less than 5 minutes to install the plug-in. If you have ever installed a plug-in for WordPress, then you are already familiar with process of installing WordPress LMS. A simple upload of the .zip file that contains the plug-in configuration files is all that is required. Course/Lesson Creation: After installing WordPress LMS, you will have a new option in your WordPress Admin Dashboard that will allow you to create Courses and Lessons. After creating a course, any number of lessons can be associated with it. This will allow you to organize and structure your learning content nicely. You can also attach materials to each course (such as PDFs and links to other sites), and you can also embed videos within a course. Receive Payment for Courses: The plug-in allows you to easily restrict access to your content until payment is received via PayPal. Quizzing: WordPress LMS allows you to create quizzes, but at this time they seem to be limited to multiple choice questions. 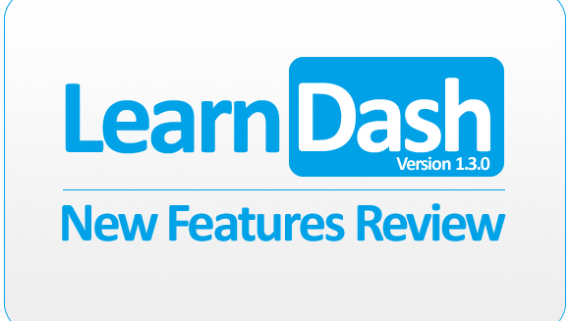 The team at LearnDash has mentioned that they will constantly improve the plug-in, so hopefully we will see additional question types added in future updates. Certificates: Certificates can be created and awarded to learners after they meet the pass/fail requirements of any a quiz you create within WordPress LMS. Using WordPress LMS is fairly straightforward. I did run into one or two moments where I wasn’t quite sure how to complete my course set up, but after referring to the support videos and sending an email to LearnDash support, I was back on track. Creating courses and lessons is extremely similar to creating a new blog post in WordPress, so if you are a current WordPress user, you will feel right at home. WordPress is fairly intuitive as a whole, so even if you are new to it, you will learn your way around quickly. If you are looking for something that out of the box will replace your full-fledged Enterprise LMS (such as Saba or SumTotal), then WordPress LMS is not for you. With that said, I don’t believe that the WordPress LMS plug-in is currently trying to compete directly with those larger Learning Management Systems. What this plug-in does do well however, is provide you with an option to set up a learning portal using a new or existing website that is running on WordPress, for potentially as low as $69. This is a great value since typical LMS options can cost many thousands of dollars (not including free alternatives such as Moodle). It will also allow you to get a learning portal up very quickly, which is also a plus since many times LMS implementations can take a long time to complete. In addition, the plug-in has already received an update less than one month after it’s initial release. If this is an indicator of how aggressive the team at LearnDash will be in regards to adding new functionality, then the plug-in will continue to improve as it matures. If you are currently looking for a solution that will allow you to set up a learning portal quickly with a limited budget, you may want to give the WordPress LMS plug-in strong consideration. In an upcoming blog post, I’ll be covering how to truly leverage this plug-in by combining it with other plug-ins and templates that are available for WordPress. I will also discuss and give examples of how to incorporate content created with Articulate Storyline into your site. I am currently using this plugin for my business and as a course supplement for classes I teach at a local university. The support team at LearnDash has been outstanding!! I have received answers to my questions rather quickly and they are open to suggestions from the end users. Like the review states, it won’t replace one of the big LMSs out there, but it has potential to be THE solution for small to mid sized organizations. It’s currently working well for my company. I agree with you. The few times I have had to had to email support at LearnDash, the response has been very timely. I’m excited to see how this plug-in will evolve. Thanks for the comment! Thank you for this review. However I am confused after reading it! WordPress LMS sounds great because I love WordPress. But what are the differences between this LMS and the other authorizing tools? It looks like this WordPress LMS allow creators to create a simple e-course right from within WordPress websites – am I right? If, so does it incorporate video, audio, graphics, etc like the other tools? If I use Adobe Captive to create an e course, will I be able to put it in my WordPress website using this plugin? If so, how? Hello Lily! Thanks for the comments! WordPress LMS isn’t really an authoring tool, however, it does allow you to create “Lessons” and “Courses”. A course is comprised of lessons, and lessons can contain text (like an article), embedded video (such as YouTube videos), quizzes, graphics and you can even embed courses created with Storyline and Captivate. You can think of it as if you were creating a webpage that contains your content. I’m currently writing an article on how to embed an Adobe Captivate published course into WordPress, so please check back very soon! Thank you very much for your clarification. 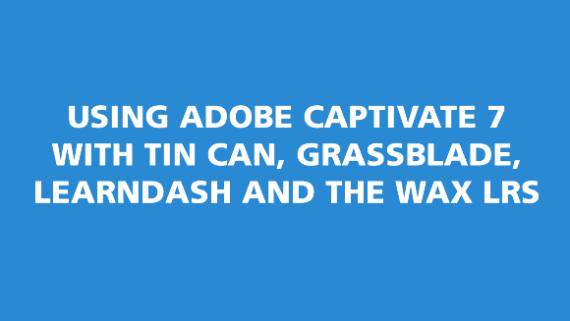 I am looking forward to reading your article about Adobe Captivate and WordPress.